DirtyFish has teamed up with Auter Robotics to gift one of their fans with a brand new drone! To enter in this Autel Robotics EVO Quadcopter Drone Giveaway grab your free entries by following few simple steps listed down below! The Evolution of flight has arrived! The Autel Robotics EVO is the world’s best compact and foldable drone, designed to go wherever your adventure takes you. Used by award-winning cinematographers and photographers, EVO’s powerful 4K resolution camera boasts 60 frames per second for buttery smooth cinematic video. It records faster, smoother, and cleaner footage with speeds up to 100mbps in an H.264 but also H.265 codec allowing for uninterrupted web streaming with minimal buffering. Using real-glass optics, EVO captures stunning photos at 12 megapixels with a wide dynamic range for more details and color. 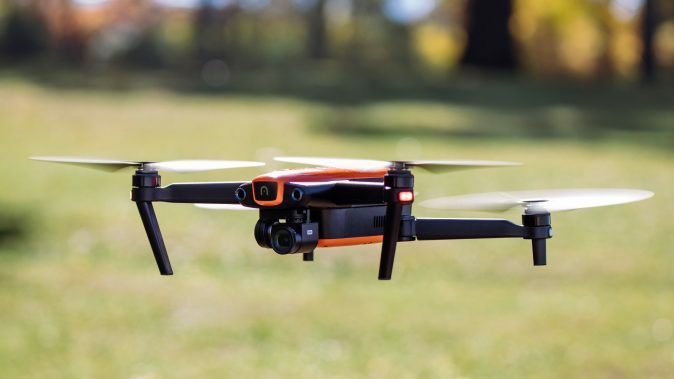 Integrated advanced computer vision systems provide forward obstacle avoidance, rear obstacle detection and bottom sensors for more accurate landings and stable close proximity flights. EVO even offers failsafe features letting you know when the battery is low and when it’s time to return to home!